Connect with local seniors from Tanzania and bring excitement back into your life! It's easier than ever to meet mature singles near you in Tanzania. Get the most from your dating experience and enhance your love life by signing up. Senior Next is, according to industry experts at SeniorDatingExpert.com, the #4 ranked senior dating site of 2016. Join this matchmaking local community. We make it easy to interact with singles who are your age, make new friends, send flirts, and browse other users from all across Tanzania. Fill out your profile & start mingling! Download Our Senior Next App! 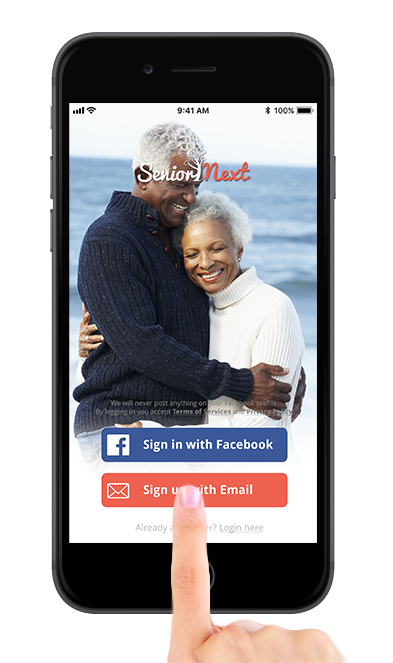 Senior Next App allows you to quickly browse profiles, check out photos and have a talk! Be proactive and make the magic happen! Stay in touch and explore your dating options! Thanks to our Android and iOS apps, you can easily find new friends and discover new romances! Click on the button to download the app that suits you! This site is SSL secured and all data transfer is encrypted. Senior Next Tanzania. Copyright © 2019 Senior Next Tanzania.